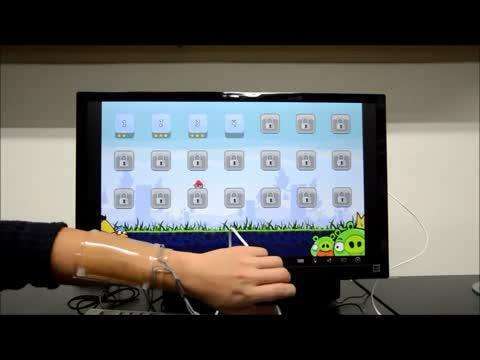 Researchers have developed a highly stretchable touchpad that can be worn on the arm and be used to write words and play electronic games. Scientists from Seoul National University in South Korea published their findings in the latest issue of the journal Science. 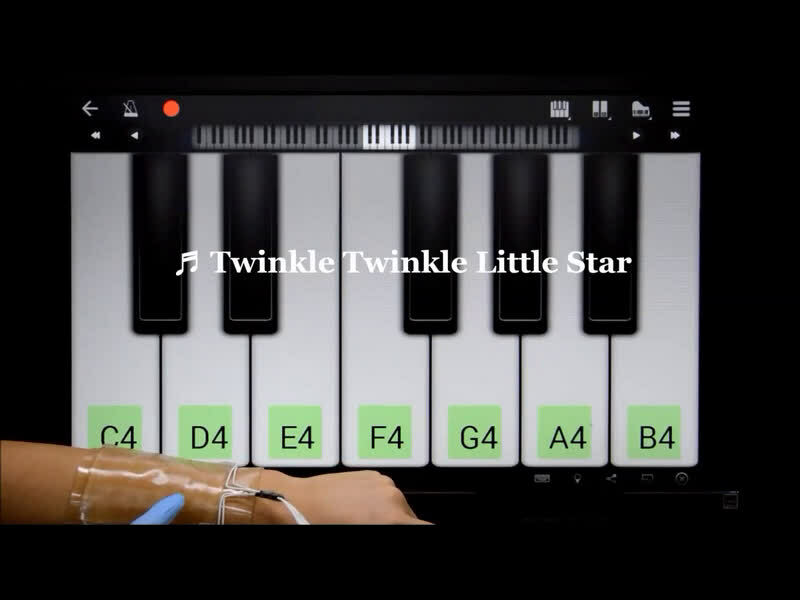 While various types of conductors such as carbon nanotubes and metal nanowires have been explored for stretchy touchpads, they are all based on hard materials. To help solve this problem, Chong-Chan Kim and colleagues developed a touchpad made of hydrogel, a network of hydrophilic polymers that are soft and very stretchable. They used a polyacrylamide hydrogel with added lithium chloride salts, which act as a conductor and help retain water in the hydrogel. Electrodes on both the ends of the hydrogel apply similar voltages which created a uniform electrostatic field across the system. When a finger touches the panel, it closes the circuit within the hydrogel, allowing current to flow from both ends of the strip to the touch point. At each corner of the strip, meters that capture current detect the electrical signals. 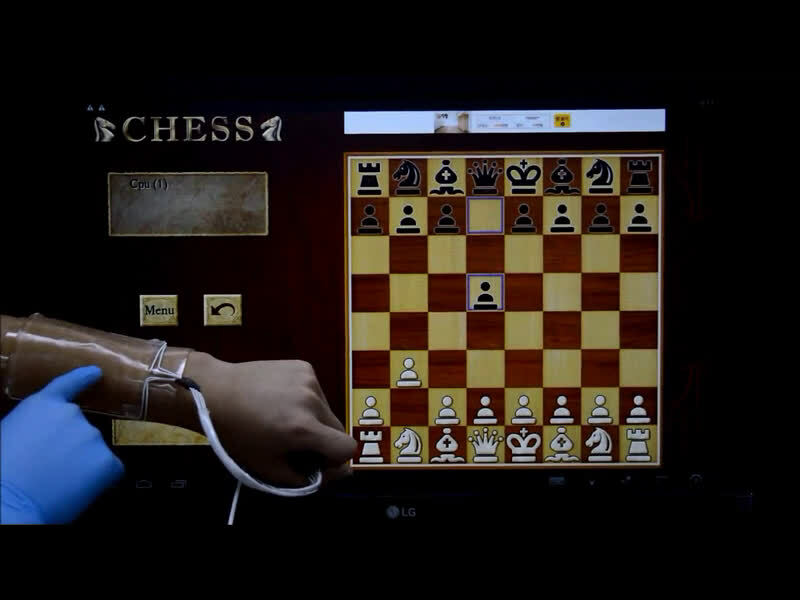 The team also developed a controller board to facilitate communication between the ionic touch panel and a computer. Using the touchpad, they were able to draw a stick figure, with the data conveyed onto a computer screen. The touchpad was still able to operate after being stretched to more than 1,000 percent of its normal size, the team reported. After 100 cycles the resistance was found to increase slightly, which the authors suggest may be due to water evaporation in the gel. 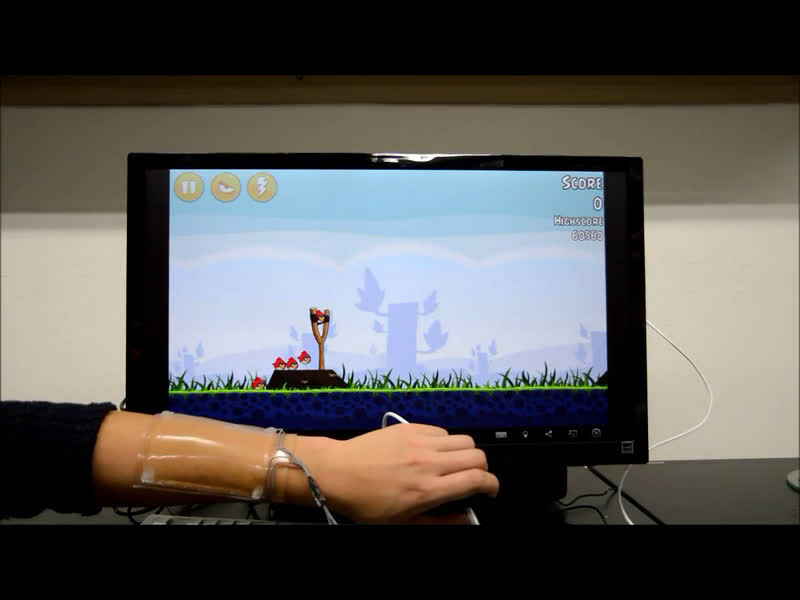 The development could lead to flexible, wearable devices with a variety of applications. YAWN! They should start putting quotes around that sentence. It's become rhetorical.